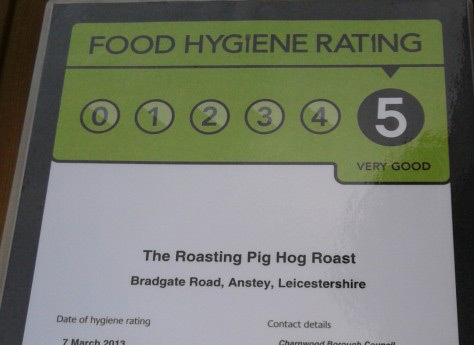 Here at The Roasting Pig, we offer the East Midland’s premier hog roast catering service. 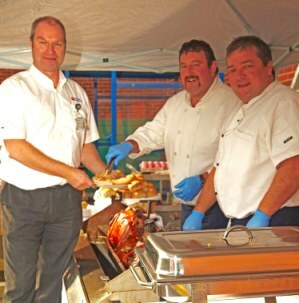 If you’re looking to make your next event truly memorable, a delicious traditional hog roast is a sure-fire success. With a range of exciting and varied packages to choose from, our menus are suitable for any type of event. 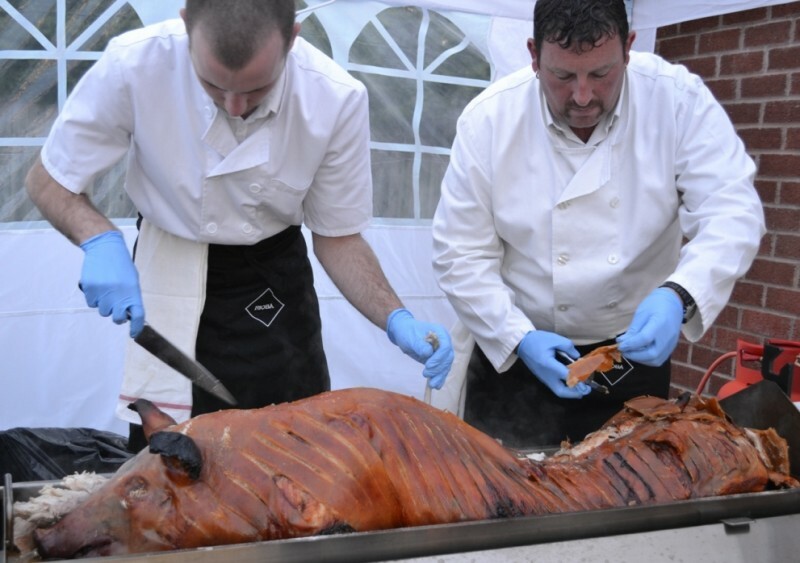 We specialise in weddings, but our Leicestershire hog roast catering service is equally well-suited to christenings, birthdays, anniversaries, or corporate gatherings. Combining a five-star hygiene rating with a fully-uniformed professional staff, we’re the perfect choice. As well as set menus, there’s the opportunity to create a bespoke package that’s perfect for you. We’re competitively priced, so you can look forward to a mouth-watering meal that won’t break the bank. All our meat is fresh and locally sourced, so you can choose in confidence from our impressive whole hogs, beef, gammon, turkey and chickens. 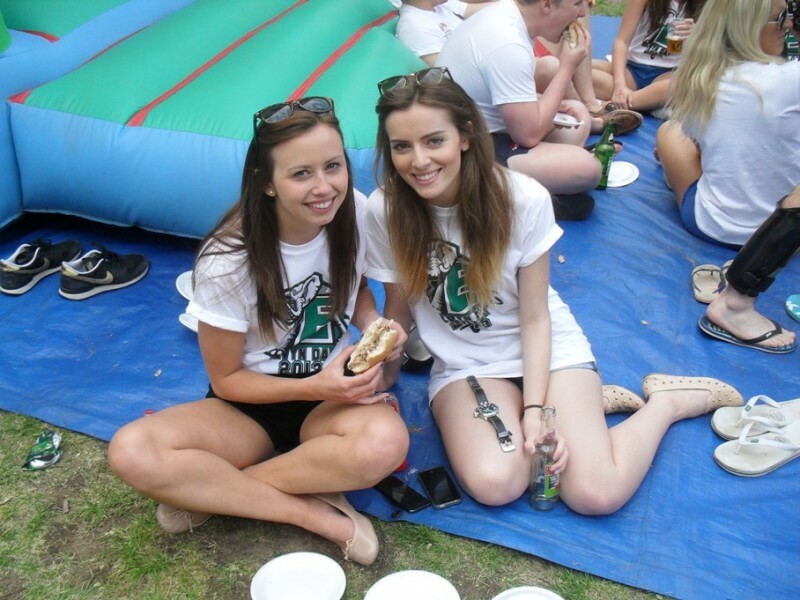 Enjoy a hog roast in Wigston that’s completely hassle-free by letting us round off your event with all of the extras you could possibly need. We’re well known for our outstanding side dishes, serving up a full buffet of bread rolls, veggies, apple sauce, and sage & onion stuffing. We cater to all tastes, with vegetarian options also available, as well as food to suit most dietary requirements. If you’d like to step up as chef for the day to cook for your guests, we also offer a full hog roast hire service, both delivering and collecting the hog roast equipment. This comes complete with a helpful demonstration of the hog roast oven and gas, so you’ll be fully clued up when you’re ready to start cooking. Our expert team will also share the best tips for food preparation, to help you deliver the ultimate hog roast in Wigston, Oadby or Countesthorpe. You can hire the equipment on its own, choose to receive one of our famous 50kg hogs to roast too. To discuss your event, and for any questions you may have, please get in touch with our friendly team on 0116 212 5259.